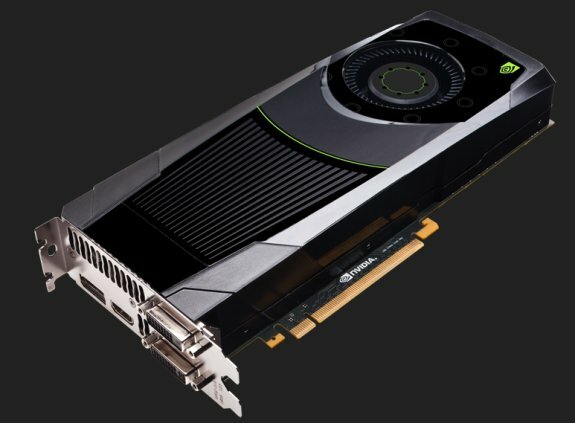 NVIDIA lifted the GeForce GTX 680 NDA a couple of hours ago and the web got flooded with reviews from dozens of tech sites. Lets take a look at some articles to get a good look at how NVIDIA's Kepler performs. The Tech Report concludes there's little performance difference between the GeForce GTX 680 and the Radeon HD 7970 and writes NVIDIA catches up to AMD on a whole hosts of fronts overnight. The Kepler-based card performs well, is more power efficient in load than the Radeon HD 7970 (but not in idle) and also quieter. All these factors combined with the $499 price tag make this card the most desirable video card in its class, according to the Tech Report's reviewer. Also, the GeForce GTX 680 is a massive generational improvement, extracting roughly twice the performance of the GeForce GTX 560 Ti from a similar class of GPU. Still, we're a little disappointed Nvidia isn't passing along more of those gains to consumers in the form of higher performance per dollar, as has happened in the past. Half a grand is a lot to ask for a mid-sized chip on a card with a 256-bit memory interface. We had a similar complaint when AMD introduced the Radeon HD 7970, and at that time, we expressed the hope that competition from Nvidia would drive prices down. Now, we're having to face the reality that the problem isn't really lack of competitive fire at the GPU companies, it's the limited number of 28-nm wafers coming out of TSMC, who makes the chips for both firms. The number of good chips per wafer is likely an issue, too. AMD and Nvidia will probably be able to sell all of the chips they can get at current prices for a while, simply because of supply constraints. AnandTech writes it's funny how AMD and NVIDIA effectively swapped positions this generation, it's now AMD who has the high TDP card that is strong in both GPGPU computing and gaming, while NVIDIA has delivered a lower TDP card that is similar to the Radeon HD 5870 right down to the display outputs. The site concludes the GTX 680 is faster, cheaper, cooler, and quieter than the Radeon HD 7970. Looking at the bigger picture, I think ultimately we still haven’t moved very far on the price/performance curve compared to where we’ve gone in past generations, but even with NVIDIA’s conservative pricing we’re finally seeing 28nm translate into more performance for less. Based on GK104’s die size I’m left wondering where GTX 680 is going to be sitting by the end of the year as 28nm production improves, as there’s clearly a lot of potential for price cuts in the future. For a third opinion we head to Legit Reviews, they say NVIDIA told them from the start that the GeForce GTX 680 is designed for gamers, and the site's testing confirmed the GTX 680 is generally the fastest single-GPU card on the market. Overclocking-wise, the reviewer managed to bump up the core clockspeed to 1275.8MHz, which resulted in a 6-13 percent performance increase over the default clockspeed. The site also heard from ASUS and EVGA that it may take 60 days until custom-design cards arrive. In the seven game titles that we tested today, we found the NVIDIA GeForce GTX 680 to be 14.34% faster than the stock AMD Radeon HD 7970 reference card when we compared all of the tests results at a resolution of 1920x1080. Factor in that the GeForce GTX 680 costs $50 or 9% less and you got yourself some pretty good reasons to go with an NVIDIA GeForce GTX 680 over an AMD Radeon HD 7900 series card. The fact that the card uses less power, is smaller, quieter and has lower power supply requirements is icing on the cake. NVIDIA also has innovative technologies like PhysX, SLI, full stereoscopic 3D with wireless NVIDIA 3D vision glasses, Adaptive Vertical Sync, TXAA and more.